Haleem is very common in Iftar during Ramadan. Though Haleem is available every where through out the year. But there is a special flavor and attraction in Ramadan Hallem. Most of the families in Dhaka and other cities of Bangladesh take Haleem from Local shops. Now a days housewives are trying to make Haleem in Ramadan for Iftar. Haleem recipes are little long but easy to make. This recipe has 2 parts, first recipe for cooking meat and second recipe for making Haleem. Any one can cook meat with or without any recipe. But recipe for haleem is different and must know recipe ingredients and cooking process properly. To prepare Haleem you need 1.50 kilogram cooked meat (Beef / Mutton / Chicken). You already know how to cook meat; we do not include meat cooking procedure here. Here are recipes for Haleem with cooked meat. – Add broken wheat, salt to test, cardamom, turmeric power and cook for a while. Stir after few minutes again and again till you see all ingredients mixed and become thin liquid. Fry onion slices with oil on a fry pan, when onion becomes golden color, takes out then pore little oil and fried onion into Haleem. – Add sliced ginger, mint, lemon, etc. – Now your Haleem is ready to serve in iftar. server Hot Haleem. Haleem recipe is little different due to people choice and availability of Haleem recipe ‘s ingredients in India, Pakistan, Nepal and Middle East. Basically Haleem recipe is suitable with mutton. Indian Haleem recipe is more spicy than Bangladesh and Pakistan. We should have a sweet fruit or food in iftar. Though Dates is the main sweet fruit for iftar, sometime Jilapi is not bad choice. Jilabi recipe is not ingredient of uncommon stuffs. So you can choose Jilabi recipe to make testy hot jilabi as a sweet food. You family member will enjoy Jilabi recipe and making process. Normally chefs using Jilabi recipe for making Jilabi in the shops only. Jilabi is very sweet and popular hot item for iftar in Bangladesh, India, Pakistan. 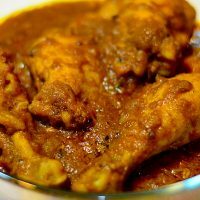 You can prepare Jilabi in your home with proper recipe. How to make Jilabi ? – Mix flour (maida), all purpose flour, soda and warm water in a bowl. – Keep the liquid for a while to have better consistency. – Mix Sugar and water in a pan and boil, Stir to make syrup, Mix cardamoms and kewra with it. Sugar Syrup would be thick. – Take a 1 sq. ft cotton cloth and make a hole in the middle. – Take flour mixture inside the cloth and Make pipe line to Jilabi design. You can practice few minutes to have desire design of Jilabi or Jilapi. – Fry until Jilabi becomes red, yellow or golden color. – Takeout Jilabi from the fry pan into syrup directly. – Takeout Jilabi within 3-4 seconds from the syrup and keep Jilabi in a plate. – Serve hot Jilabi in iftar. Beguni recipe is not ingredient of high price items. But local vegetable businessmen making shortage of eggplant in the market during Ramadan then price go up. 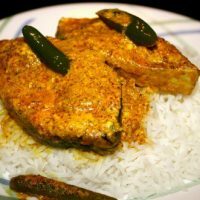 But Bengali never thing the price than choice and there is no alternative recipe for beguni as eggplant is the main item of this recipe. 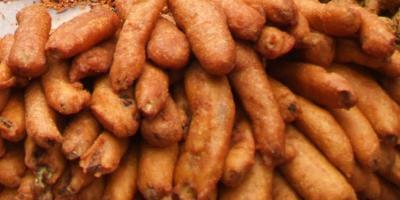 Beguni is very popular as an iftar item in the month of Ramanad. Without beguni Muslims of Bangladesh feel uncomfortable in iftar. Beguni recipe is not complicated. Anyone can fry beguni easily in her home. Homemade beguni is better than outside one. 1. Cut eggplant into slices. 5. Cover sliced eggplant with the liquid. 6. Fry eggplant in deep oil till it becomes yellow or golden color. 7. Take out from the pan and Serve hot Beguni in iftar. There are many other recipes in iftar of Ramadan. 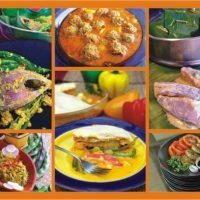 Every Bangle woman can cook any dish without any certified recipe, These recipes may be useful for Bangladeshi living outside like Australia, USA, UK , KSA, Oman, UAE, Bahrain, Qatar Kuwait and other countries of the globe with friends or family. After fasting full day you need special recipes to make delicious food in iftar. Do not consider recipes for rich food but careful about your health in Ramadan.